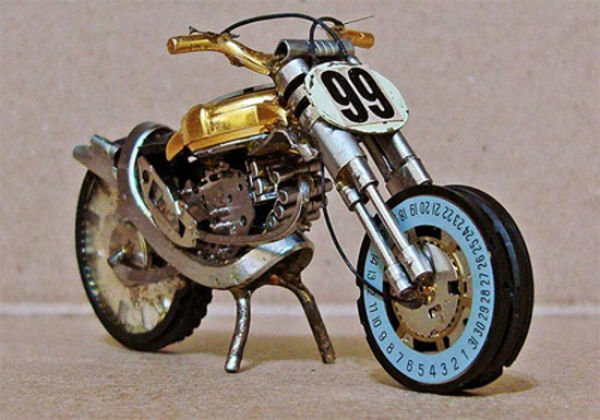 These incredible miniature motorcycles are the work of the talented Brazilin artist Jose Geraldo Reis Pfau. 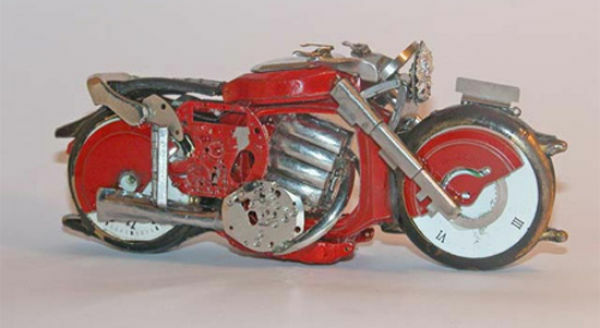 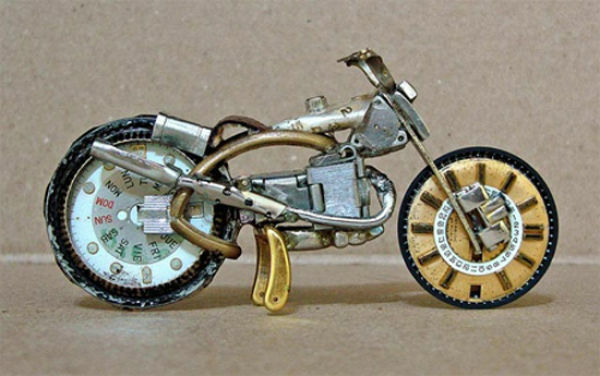 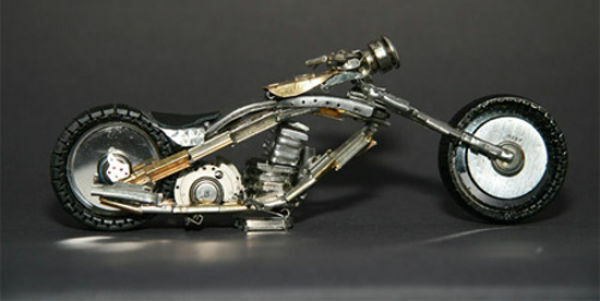 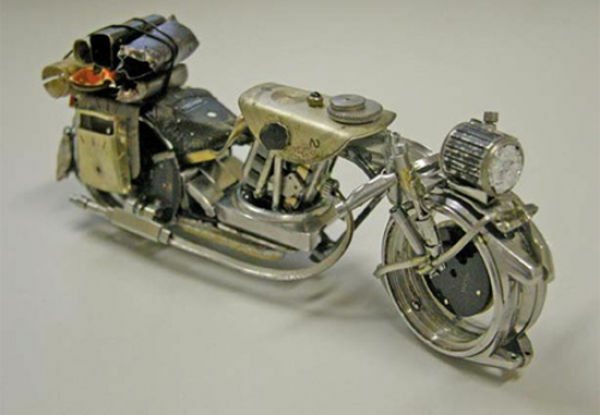 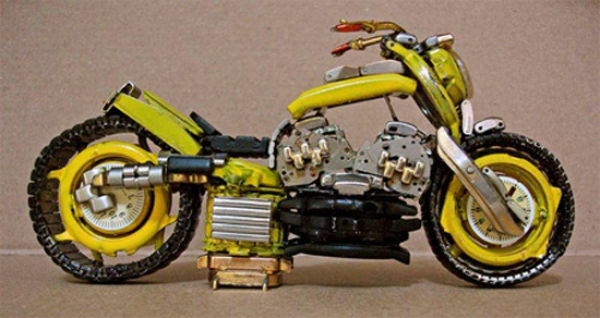 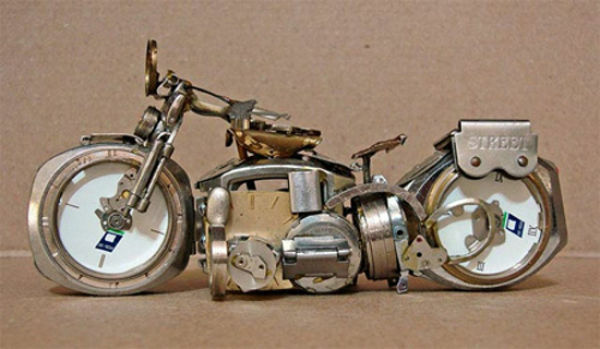 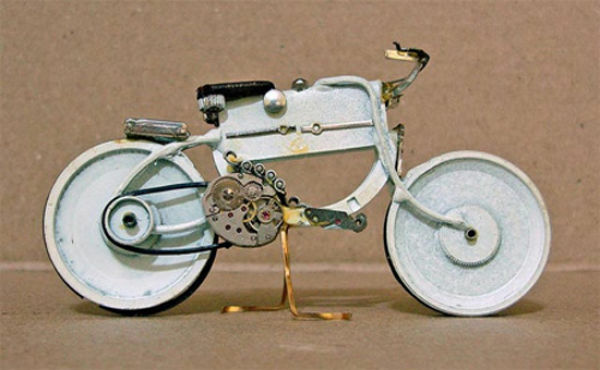 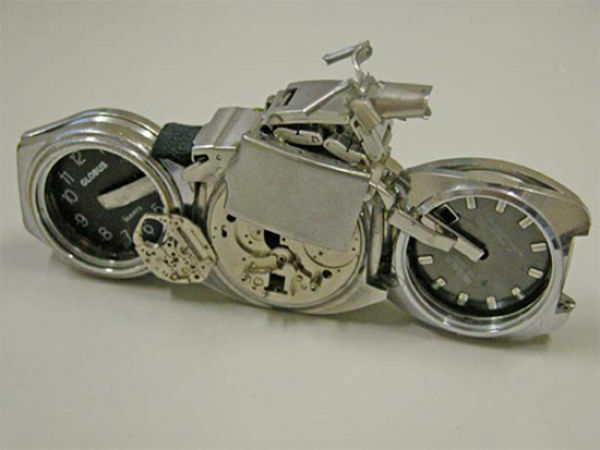 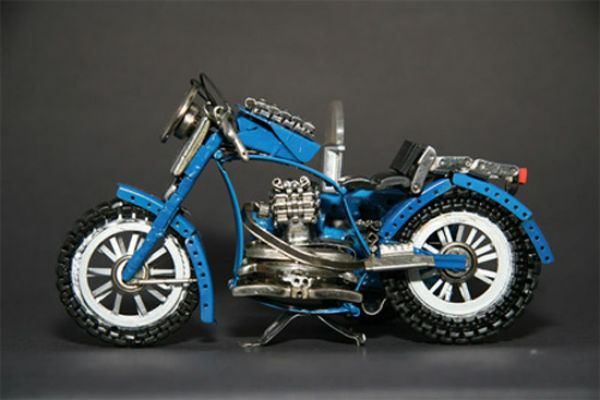 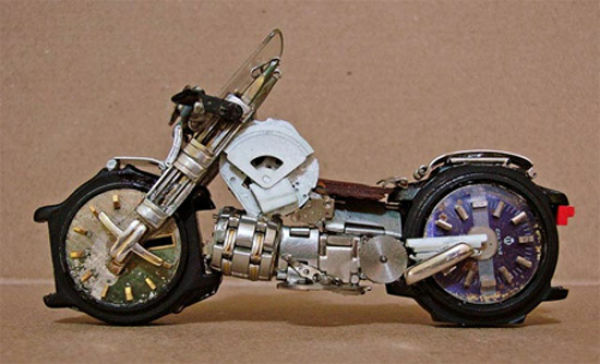 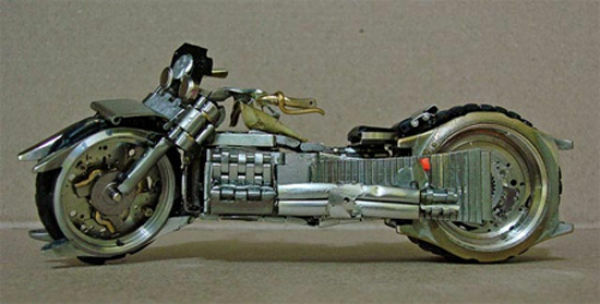 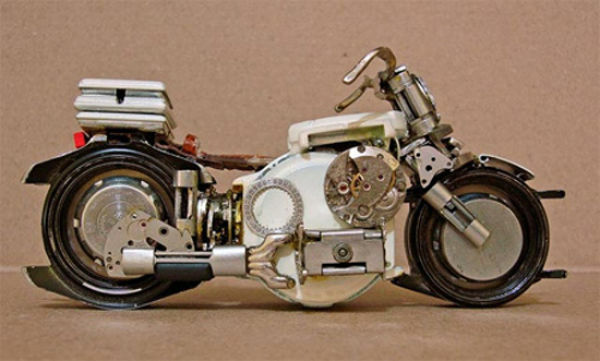 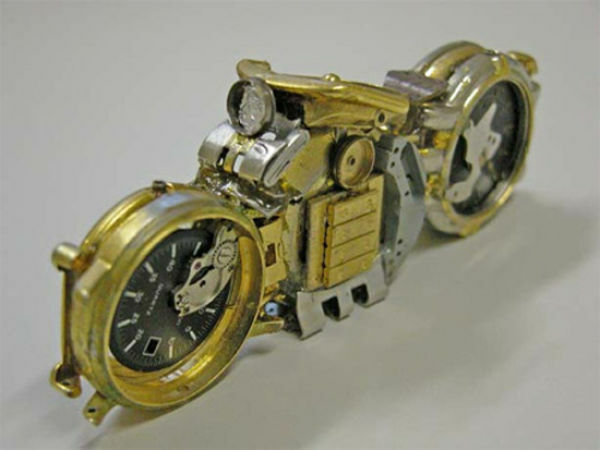 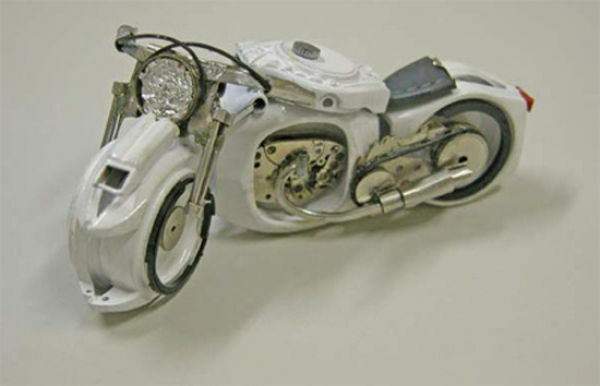 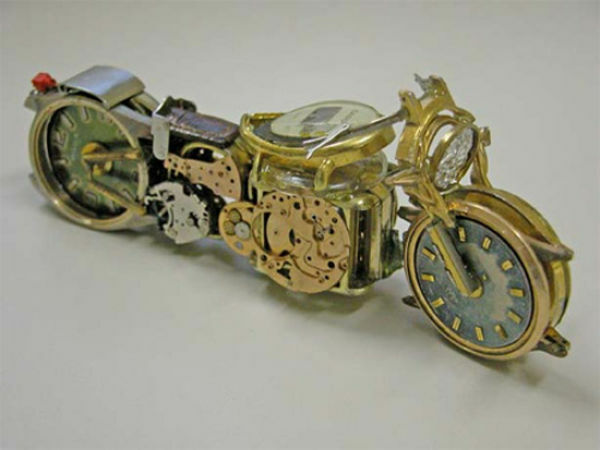 He uses parts from old watches to create amazing motorcycle miniatures. 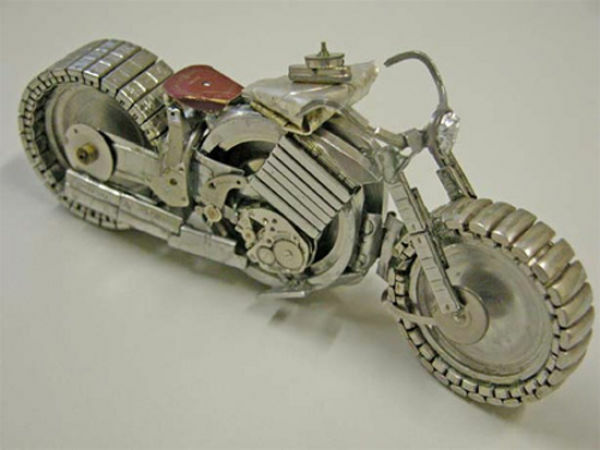 He creates many different forms with pieces of gold, silver, plastic, glass, and metal.